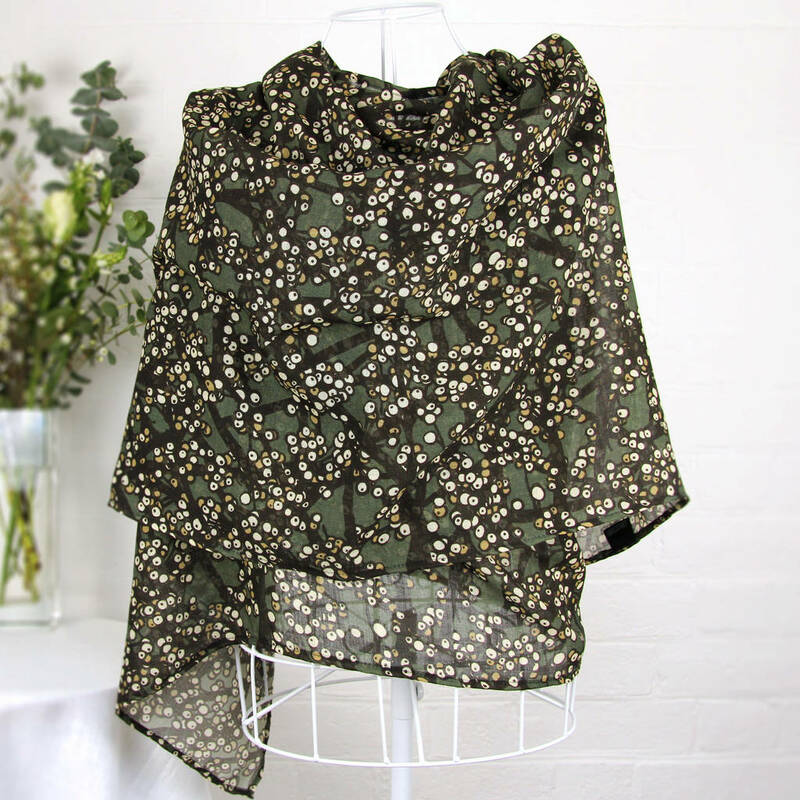 Large limited edition scarf in a contemporary design. 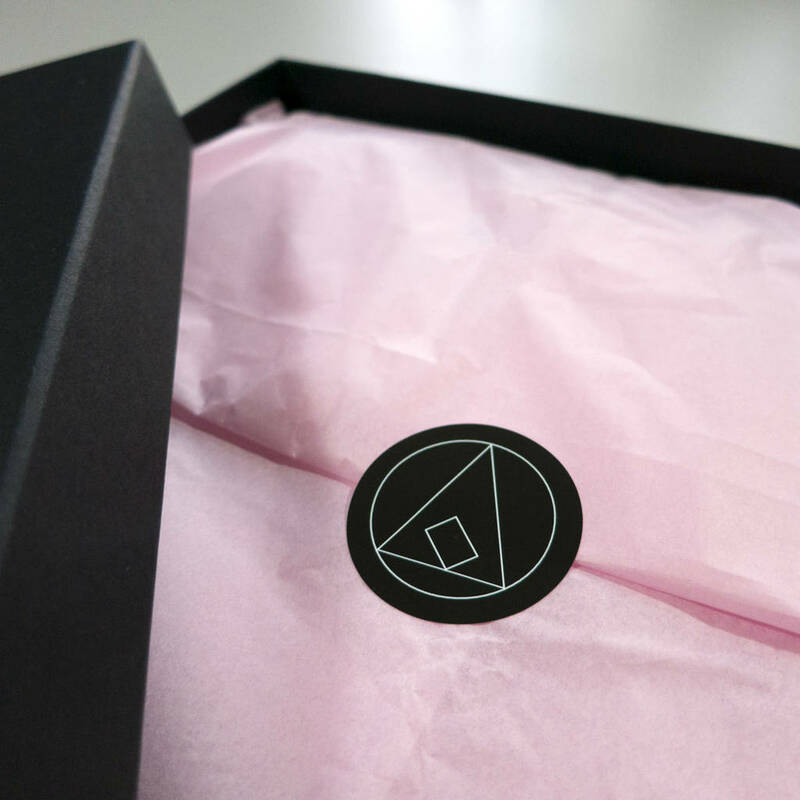 Beautifully printed on 100% natural, light and warm wool. A popular and versatile design that will work beautifully with a range of outfits; at a party, event or anywhere you want to look and feel great knowing that your contemporary scarf can also form a lovely warm wrap. 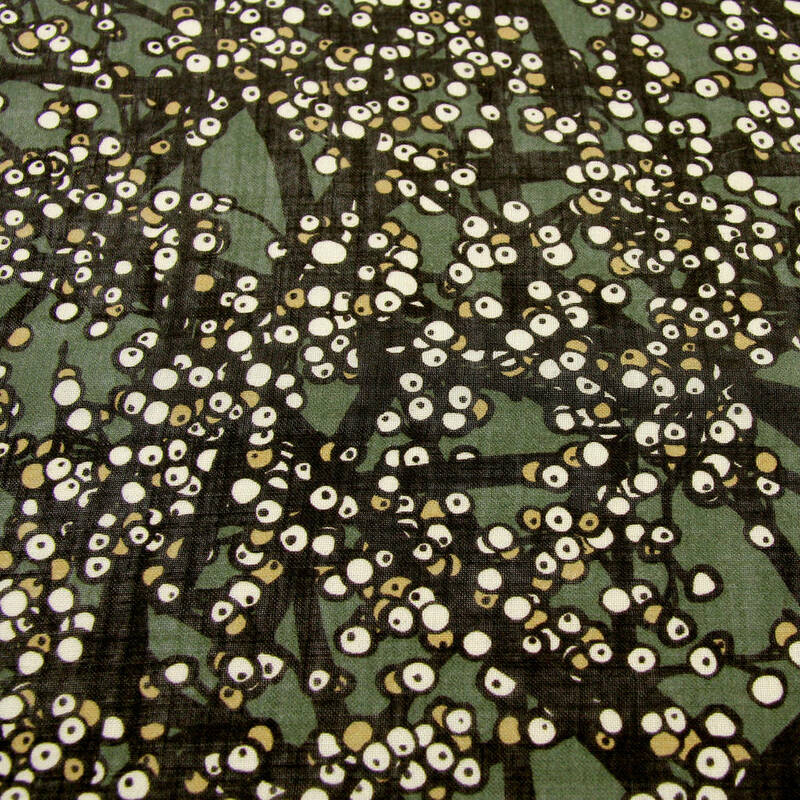 It's quirky and individual design is certain to elicit positive comments and compliments. The original artwork is inspired by winter berries. 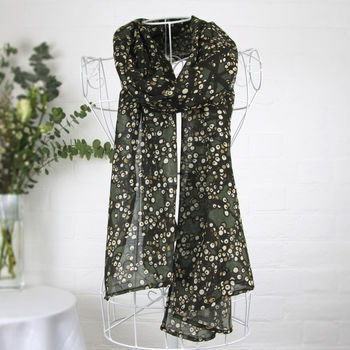 Designed and hand sewn in the Chilterns, digitally printed in Glasgow on a lovely light 100% wool voile fabric. 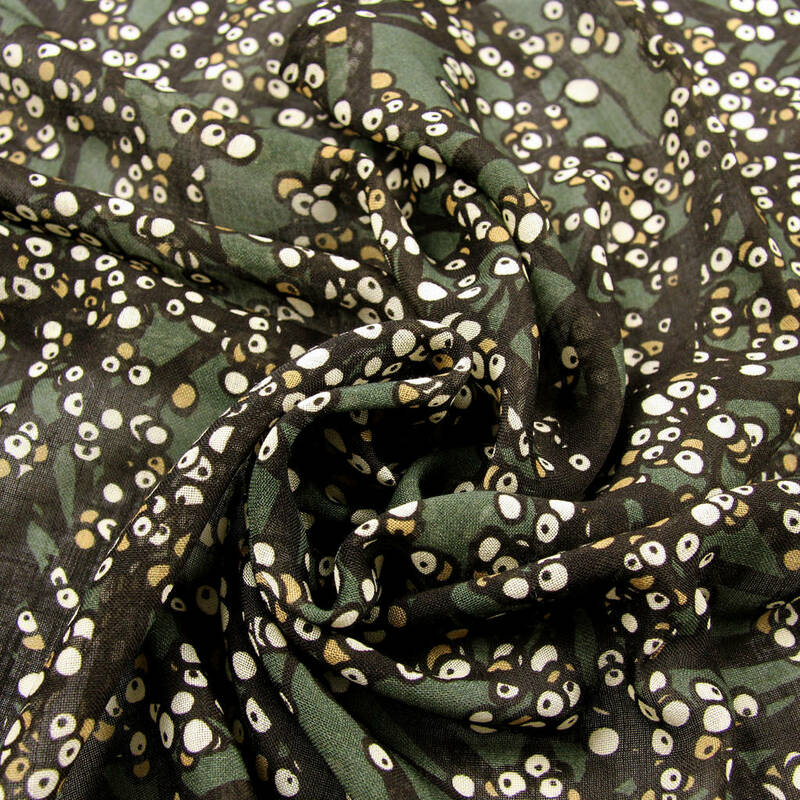 This colour way is black and creamy white pops on a sage green ground. I can produce any scarf in a custom colour theme of your choosing, this design works well on blue or soft green grounds too. Please allow up to 6 weeks for production once we have agreed the new colour. Message me if you’re interested in this special service. 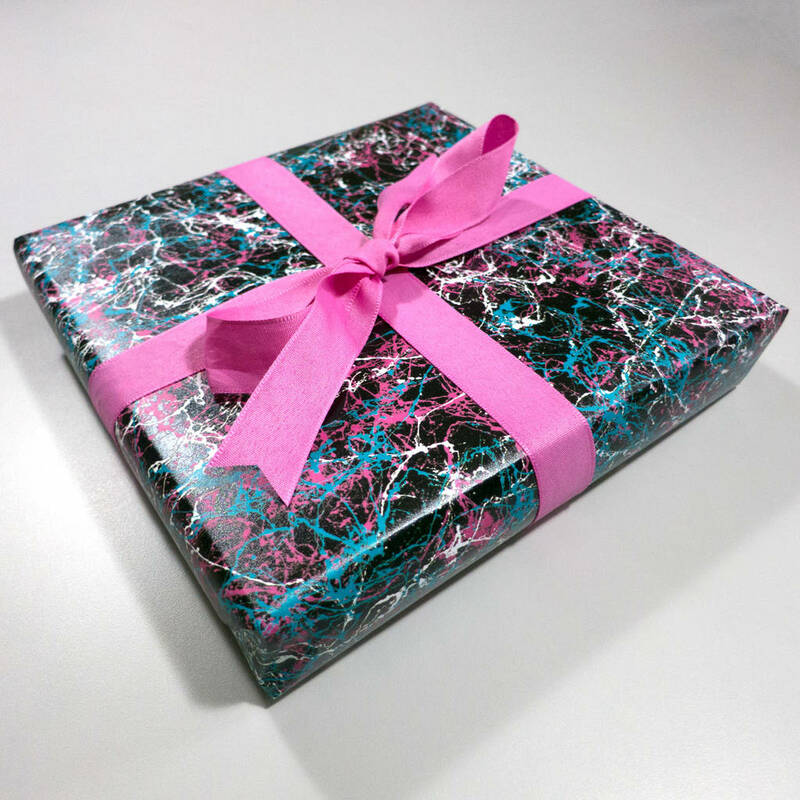 Note: the gift wrapped image is to show the paper and wrapping style of the wrapping service offered for a small fee (select in dropdown menu). 100% wool fabric, dry clean only. 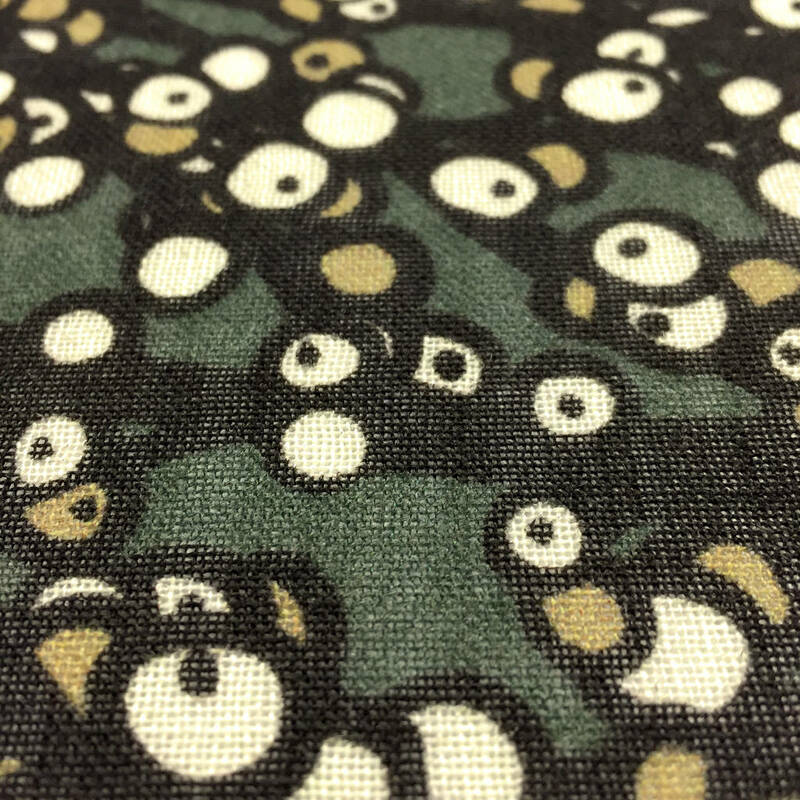 Our digital printing process is a one sided process and results in subtle variations between prints which means that your scarf will be unique and truly individual. The perfect gift!